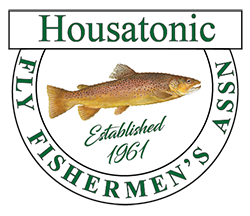 The HFFA will sponsor our annual Fly Fishing Merit Badge class on April 5, 6, and 7, of 2019 at Deer Lake Scout Reservation in Killingworth Ct. We will teach scouts fly tying and fly casting as well as taking them out to the pond and have them try to catch their first fish on a fly. This project was very well-received by the Scouts and it was equally rewarding to the HFFA volunteers who helped introduce fly fishing and fly tying. A special thanks to Fred Monahan, our project leader (year after year I might add), and all of the HFFA volunteers who contributed their time and energy in helping our young people learn fly fishing. It looks like we have already made some fly fishing enthusiasts!